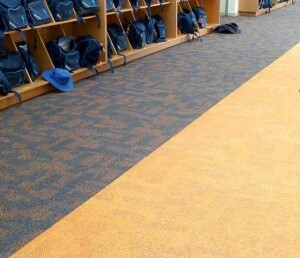 Class room carpets come in many styles and different variations but it is important that you get the right flooring for a class room and your needs. With paint, glue, felt pens and a whole host of other things being used you are guaranteed to run into issues without the right type of flooring in place. Our range of class room carpets will give you a large number of options to match with existing décor whilst being durable and long lasting. The Carpet and Flooring Company have been trading since 1987 and have probably fitted hundreds of class rooms in that time so it goes without saying that we know what you need and how to fit it. A team of friendly and professional flooring experts are here to help you on 01276 37722 and we can arrange a completely free consultation where we will be able to guide and advise you through what is best for your needs.